Store TRUNORTHDECK™ (TND) under a cover to ensure boards are clean when ready to install. If stored outdoors, they must be covered with a tarp designed for outside use. Products should be stored in a dry space with bottom supports equally spread apart. For long term storage product should be banded together. 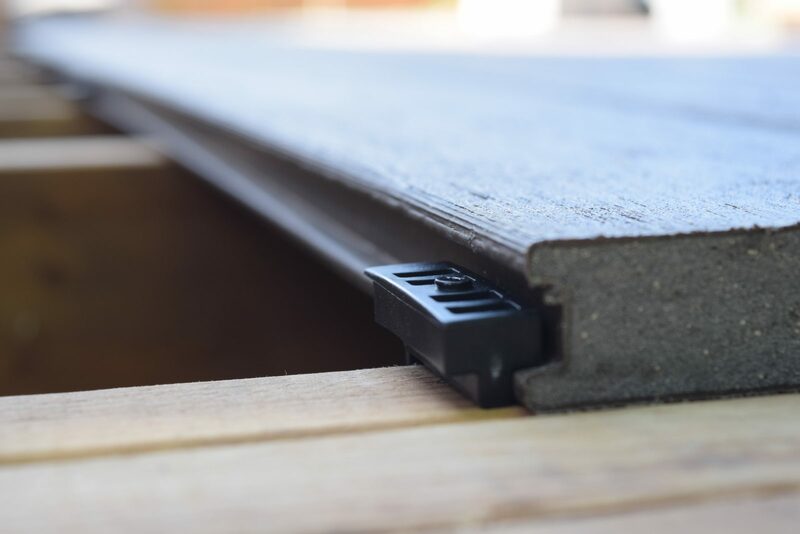 Adhering to the guidelines above when handling these planks will minimize any damage prior to and during installation while preserving the natural colour and wood grain appearance. Although TND products are low maintenance, TND recommends periodic cleaning to help maintain the natural wood grain of the product. 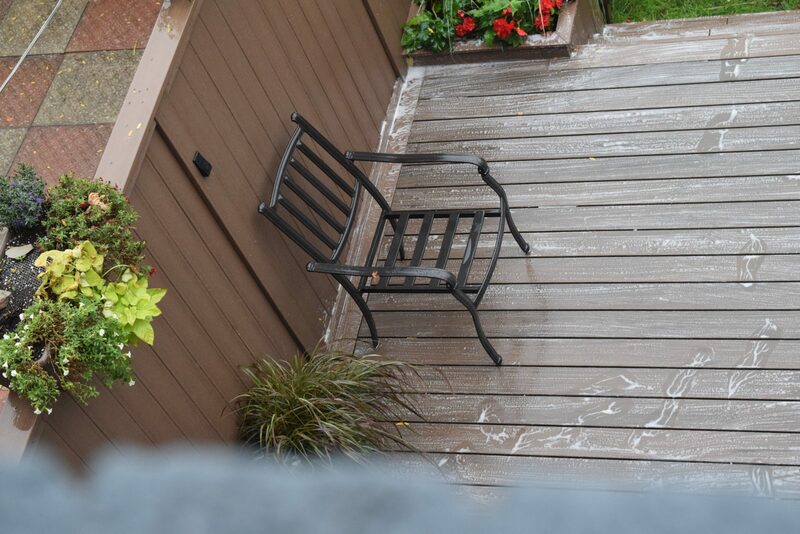 For best results power wash using dish soap detergent. The recommended maximum pressure is 1700 psi for TND decks. A fan tip nozzle must be used along with the proper cleaning product. Spray in the direction of the brush/grain pattern to avoid damaging the product. 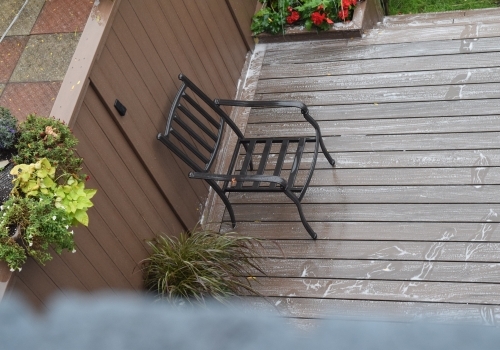 Use caution not to damage the material and always take the proper safety precautions when operating a power washer. 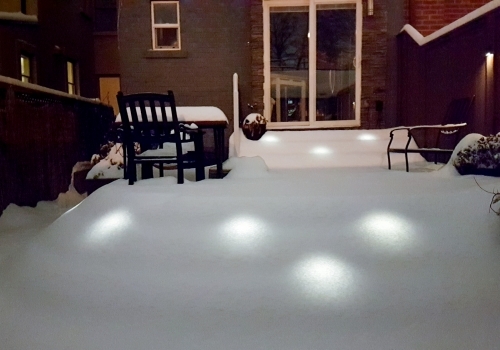 For ice removal, either rock salt or calcium chloride may be used without damage to the surface. However, either of these products may leave a white residue, which may be removed by either rinsing with water or a mild soap/ water solution. 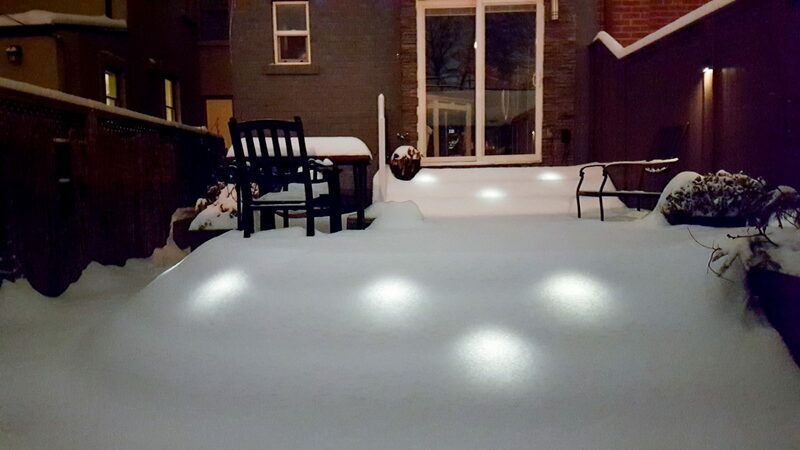 If shoveling the deck, a plastic shovel or a shovel with a plastic edge must be used. 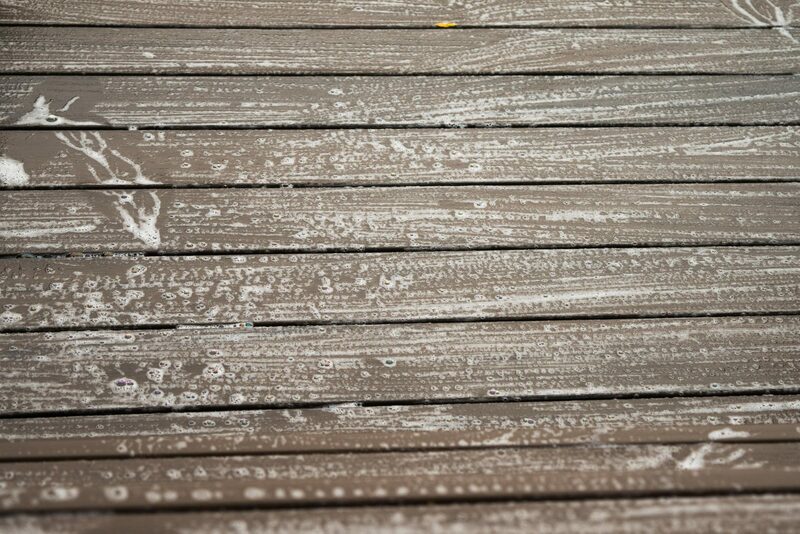 Ensure you shovel in the same direction the deck boards are installed in length. Going across the deck boards will leave scratch marks. Although NOT recommended, TND products may be painted or stained. Once the product is painted, stained or sealed, subsequent applications will be necessary to maintain appearance. TND does not guarantee the performance of anything applied to the product. Wait approximately 4 to 6 weeks or until the product has completed its weathering process before painting or staining. Clean your TND surface prior to applying paint or stain. Never paint or stain over surfaces that may contain dirt or mildew. Apply paints and sealers in accordance with the manufacturer’s application instructions. TND products are formulated with 95% natural fiber (Rice Hulls), Recycled bottles glass spheres and other additives. Rice Hulls are highly resistant to moisture penetration and fungal decomposition. Mold, Mildew and Fungi will grow on everything; however the Rice Hulls prevent the mold to grow into the product. TND recommends products should be periodically hosed or power wash. Even if it appears clean, it is important to prevent build-up of pollen/debris. 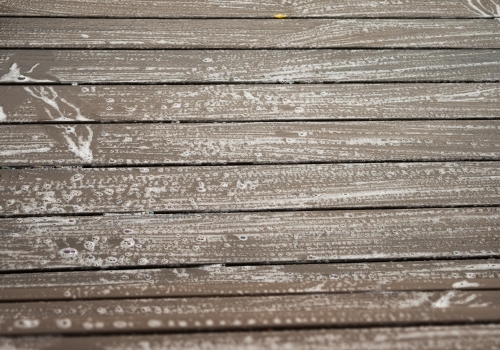 Mildew stains may occur where moisture, pollens, and/or dirt are present. Mildew needs a food source to grow, which can be grass, pollens, dirt, debris, wood and wood resins. Maintaining a clean, dry surface is the best method for combating mildew. Many stains can be cleaned with soap and water. If the stains have set TND recommends using a wire brush going with the grain to remove the stain. Areas cleaned may lighten; this will require 6 to 10 weeks exposure to the sun to match the remaining product. Wipe up spills immediately to avoid any permanent stains.